The classic police procedural meets cutting-edge science in this huge international bestseller. 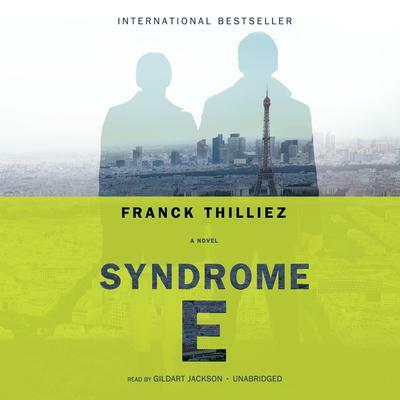 Already a runaway bestseller in France, Syndrome E tells the story of beleaguered detective Lucie Henebelle, whose old friend has developed a case of spontaneous blindness after watching an extremely rare—and violent—film from the 1950s. Embedded in the film are subliminal images so unspeakably heinous that Lucie realizes she must get to the bottom of it—especially when nearly everyone who comes into contact with the film starts turning up dead. Enlisting the help of Inspector Franck Sharko—a brooding, broken analyst for the Paris police who is exploring the film’s connection to five murdered men left in the woods—Lucie begins to strip away the layers of what is perhaps the most disturbing and powerful film ever made. Soon Sharko and Lucie find themselves mired in a darkness that spreads across politics, religion, science, and art while stretching from France to Canada, Egypt to Rwanda, and beyond. And just who is responsible for this darkness will blow listeners’ minds, as Syndrome E forces them to consider: What if the earliest and most brilliant advances and discoveries of neuroscience were not used for good but for evil? With this taut US debut, Thilliez explores the origins of violence through cutting-edge and popular science in a breakneck thriller rich with shocking plot twists and profound questions about the nature of humanity. 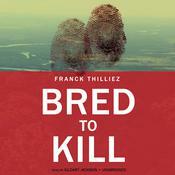 Franck Thilliez is the author of several bestselling novels in his native France. 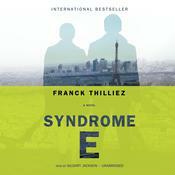 Syndrome E was his first novel to be translated into English in the United States.